A Leeds-based private jeweller who specialises in sourcing and creating bespoke jewellery for some of the country’s wealthiest individuals has expanded his business with the opening of a new 650 square foot boutique in Boston Spa. 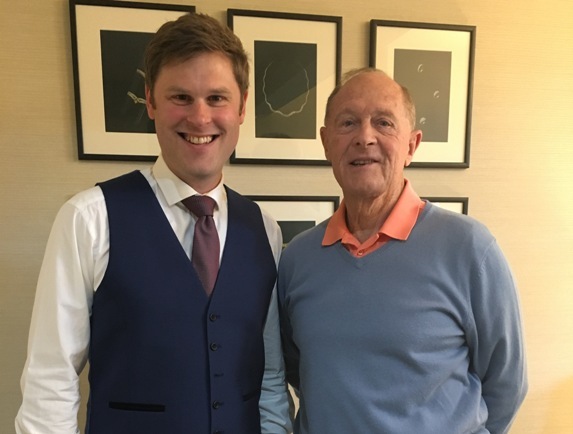 Neil Geddes, founder of NJ Geddes Fine Jewellery, opened the boutique at an intimate launch event attended by more than 50 clients and guests, including former England cricketer and Boston Spa resident, Geoffrey Boycott OBE. With an office in Leeds city centre and operations across the UK, the Boston Spa boutique is the businessman’s first retail venture following business growth of 30% in the last 12 months. The boutique, which occupies the site of a former bridal wear store on the high street, was designed by award winning York-based interior designer, Carolyn Parker. It features an extravagant gallery of jewellery, bespoke furnishings and a show-stopping window display. Mr Geddes launched NJ Geddes Fine Jewellery in 2010, with the aim of delivering a jewellery buying experience with service levels and attention to detail akin to that of a couture fashion house or Saville Row tailors. His team of designers and master jewellers create original couture pieces through a bespoke consultation and design process, in addition to reimagining heirloom jewellery as part of a new design. He added: “Many of our clients are time-poor and need the assistance and discretion we provide to help them locate, purchase or design bespoke jewellery.